Many USB Type-C connectors on notebook PC's which support video use DisplayPort 1.2 and if the GPU supports enough DisplayPort 1.2 lanes, 4K@60hz resolutions can be supported. 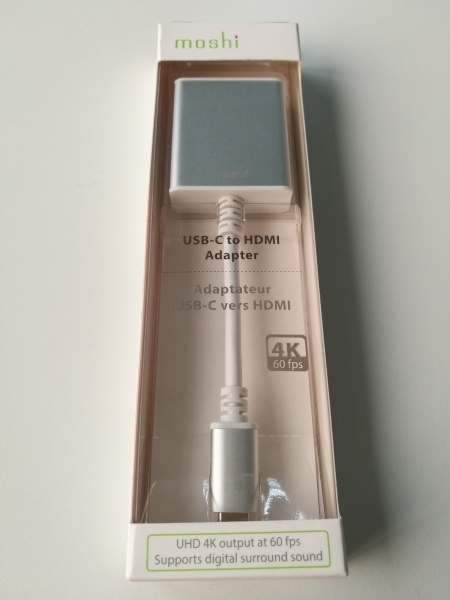 However, if you want to connect to a 4K@60hz display using HDMI, you need to make sure that you use a DisplayPort to HDMI 2.0 adapter like the Moshi USB-C to HDMI Adapter. 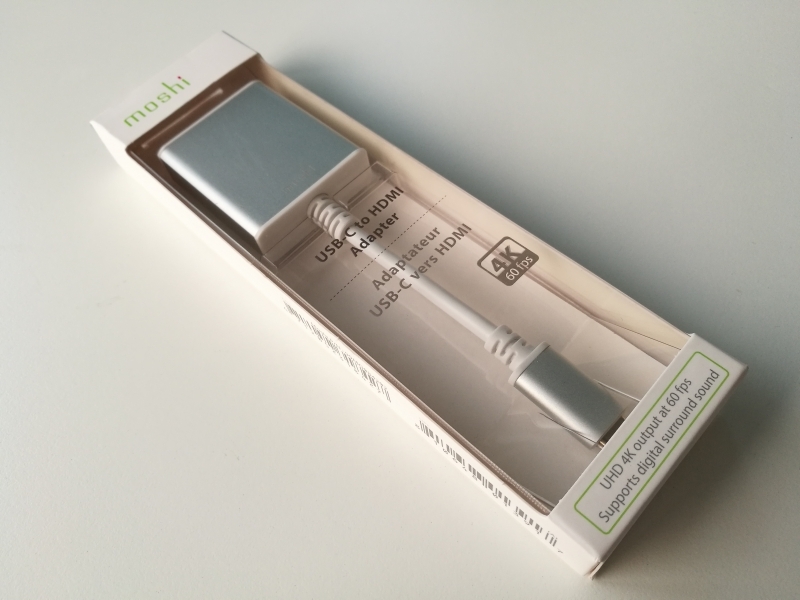 The Moshi USB-C to HDMI Adapter was designed to work with notebook PC's that support DisplayPort over USB Type-C or Thunderbolt 3 technologies. 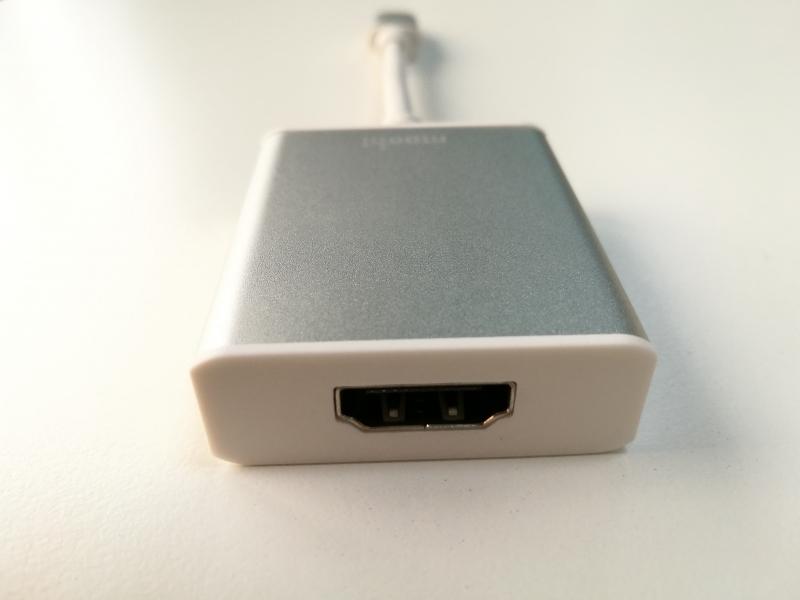 However, even for tablets or smartphones which can't output 4K@60hz, you can still use the Moshi USB-C to HDMI Adapter to output to your TV or monitor at lower frame rates and/or resolutions. 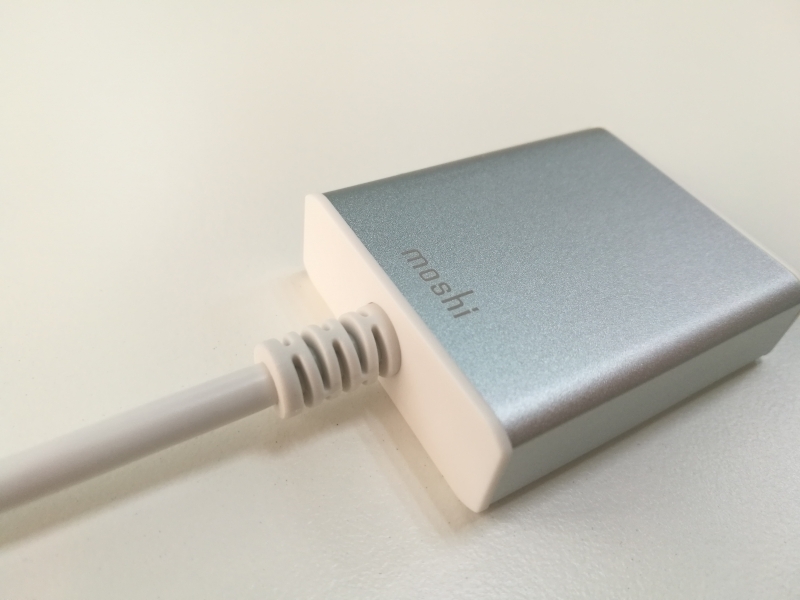 To check compatibility, we will be testing the Moshi USB-C to HDMI Adapter with various devices supporting DisplayPort over USB Type-C and Thunderbolt 3. 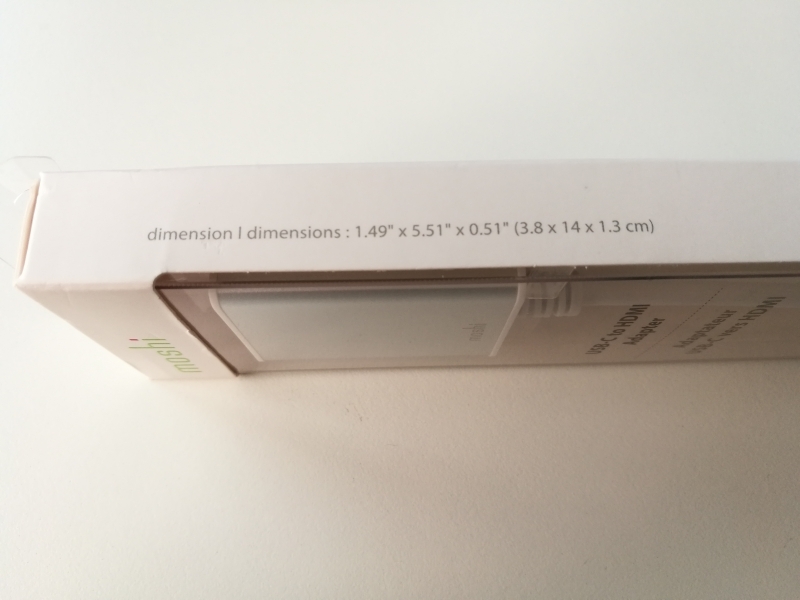 The Moshi USB-C to HDMI Adapter comes in nice retail packaging that shows off its smooth aluminum body that is very compatible style-wise to the Mac. 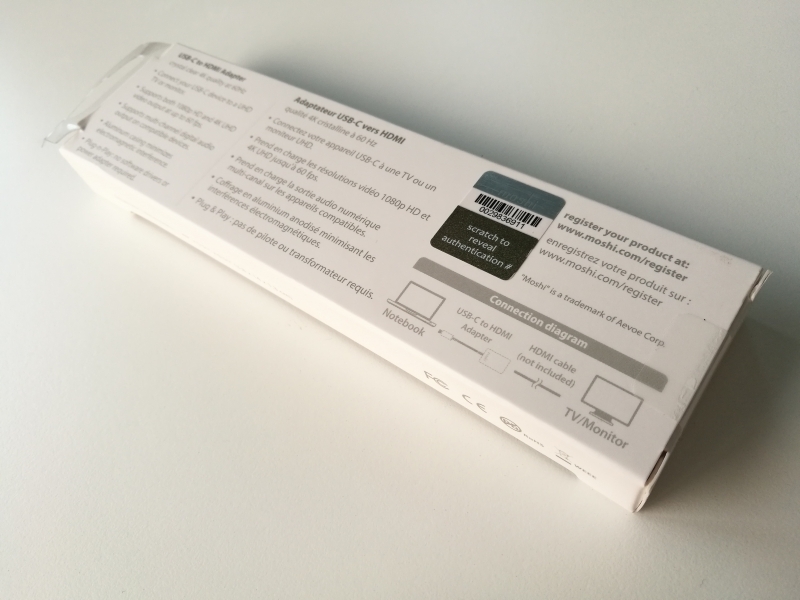 You can find more product information on the back and side of the box. 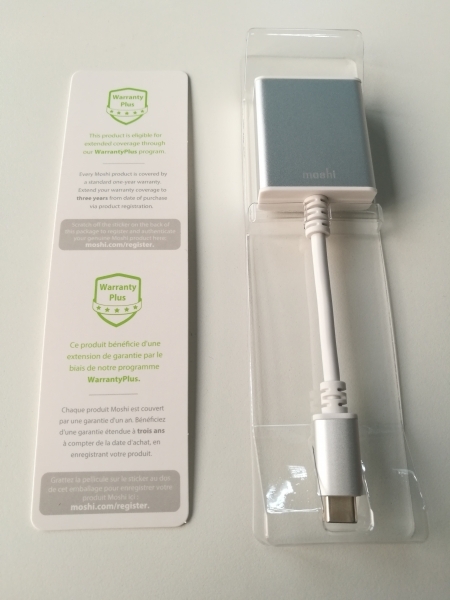 The Moshi USB-C to HDMI Adapter is only accompanied with a warranty card and no other accessories. 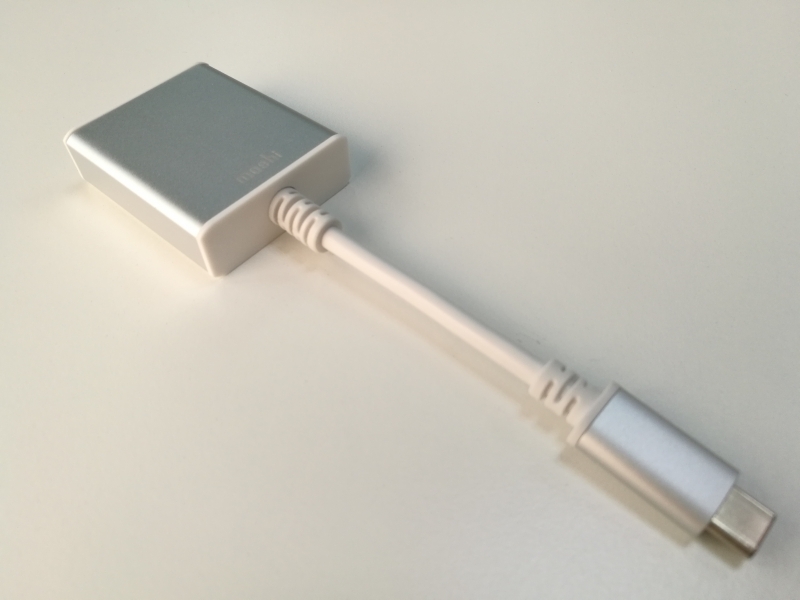 The USB Type-C cable can be used to connect to PC's and phones that support USB Type-C, USB Power Delivery, and DisplayPort video. 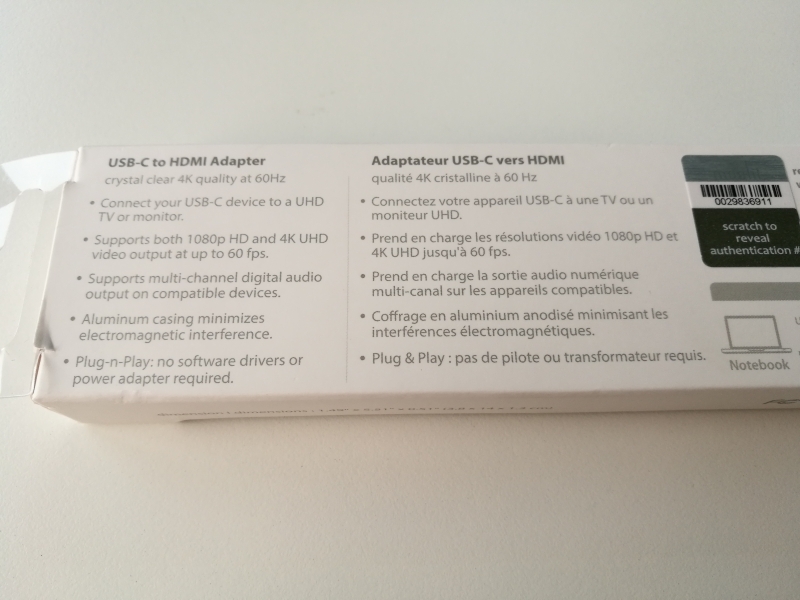 The USB Type-C cable is already tethered to the Moshi USB-C to HDMI Adapter so you don't need to purchase a separate USB Type-C cable. 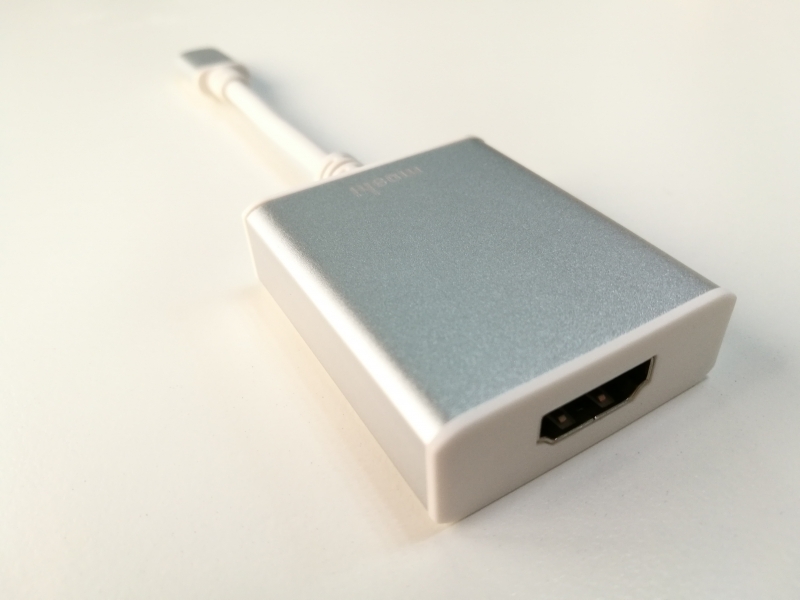 The Moshi USB-C to HDMI Adapter offers a single HDMI 2.0 port to connect to your 4K or HD TV's or displays. Stay tuned to find out how the Moshi USB-C to HDMI Adapter performs with different types of devices in upcoming reviews.